Hiring popular actors, on-air-personalities, broadcasters and comedians who have not been trained as Master of Ceremonies to compère your event is a bad idea. Learn to ask the right questions first. In 2016, I attended a conference in Lagos, at an expensive venue on the Island, so much money spent on refreshments (I know this because I enquired), good speakers, top notch décor, social media and main stream media advertising, it promised to be a most memorable event. The only drawback, was the MC – though a popular person, he was unprofessional, uncoordinated, obviously unprepared, yet paid a lot of money, with a “big name”. This describes a common occurrence at events, where popular actors, on-air-personalities, broadcasters and of course comedians are engaged as MCs, without acknowledging that a good number of them, have NOT been trained to be MCs. The client forgets that the on-air-personality, broadcaster or actor, is usually given a script to work with and is more often than not, behind cameras or microphones, not live face-to-face audiences. So, these untrained MCs usually just make it up as they go along. They do not know, how to build rapport with the audience, watch and understand the ‘temperature of the audience’, link one speaker and his/her speech to the next item, many have a hard time pronouncing names, and the list goes on. The ultimate panacea to this menace, is a clarion call on every perceived MC to get trained. 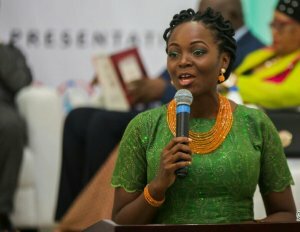 Everyone who wants to play the role of an MC at events, should seek to understand the etiquette of MCing to enable excellent, professional performances and preserving the dignity of the profession. Are you trained? If yes, by whom? What is your understanding of the objective(s) of the event? And how do you intend to contribute to achieving it/them. Have you worked at an event like this before? If yes, which? Do you know and understand the protocol necessary for this event? Have you worked with this audience demography before? What challenges did you have and how did you overcome them? Are you able to pronounce local names properly? If no, how would you remedy the situation? How would you handle the audience if they are unresponsive? If we run behind schedule, how would you engage the audience? Who is the most important person to please at the event? What time would you arrive for the event? What information would you require of me? Could I get a testimonial from a past client? Are you willing to forfeit your remuneration if you perform poorly? Asking these questions are now a necessity, in the process of engaging the service of an MC, because, having a poor MC could ruin the entire event, and question the intelligence and competence of the event owner/organiser. 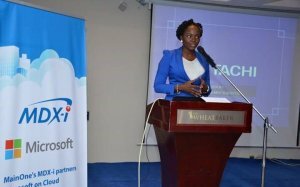 For training and mentoring as an MC, I readily recommend TALKADEMY Training School for Masters of Ceremonies. First thing I learnt at Talkademy, was that you must be intellectually sound to be an MC – I had never really seen it this way. Then we went through the ‘vision’ module, where we had to draw pictures of what we want to see in future. The truth is, what I drew then, is exactly what I’m doing now and that’s super awesome. Talkademy taught me decency in speech, character and dressing. I would attend it over and over again if given the opportunity, as the facilitators brought life and light. started her career as Master of Ceremonies in 2007 and has since compered numerous social and corporate events. 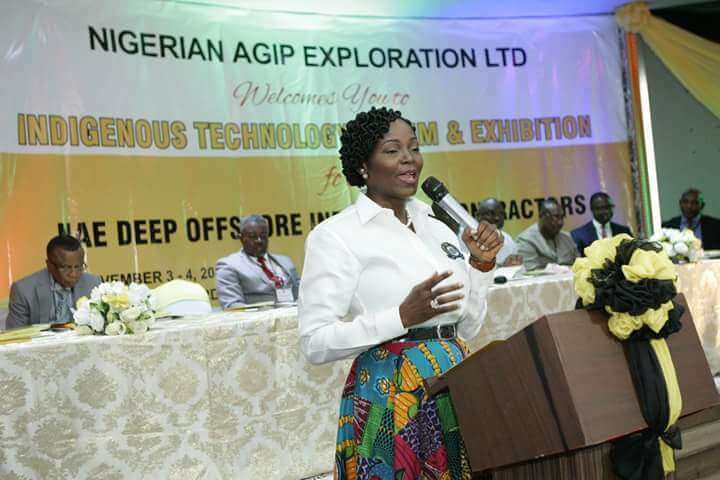 She has clients like Shell Petroleum Development Company, Nigeria Agip Oil Company, Coca Cola International, Afrexim Bank, Society of Petroleum Engineers, Trade Union Congress, NIMASA and many more. 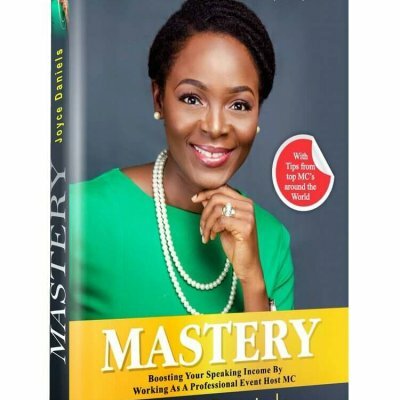 In March 2014, she founded TALKADEMY – Africa’s Premiere Training School for Masters of Ceremonies and has since trained over 70 individuals. 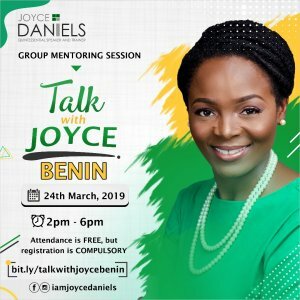 Joyce is a Senior Trainer with the prestigious 105yr-old Dale Carnegie & Associates – Training/Performance Improvement Company, with presence in over 90 countries; and she facilitates programmes in Presentations & Public Speaking, ‘Sales Success’, ‘The Dale Carnegie Course: Increasing Personal & Leadership Influence’, ‘Team Building’ and many more. 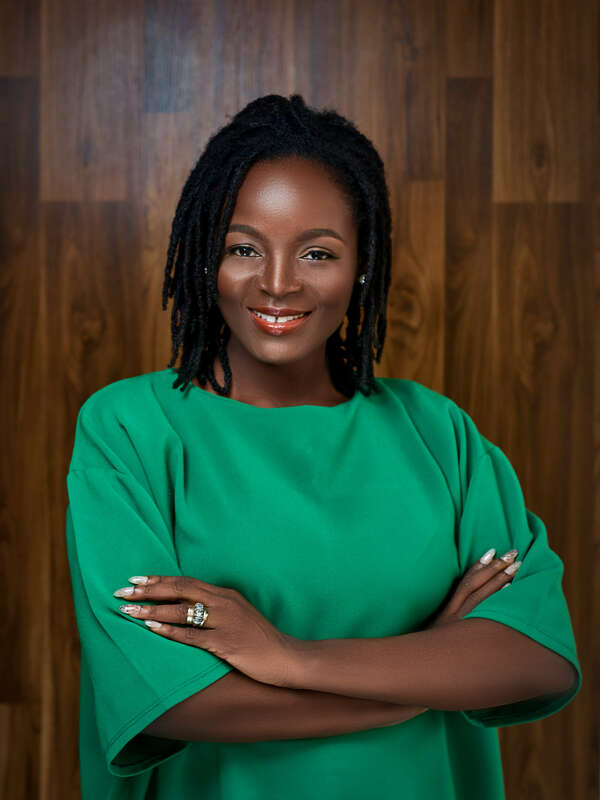 She has trained and continues to train senior staff from organisations like First Bank Nigeria UK (FBN UK), Diamond Bank PLC, Union Bank PLC, Guaranty Trust Bank, Citi Bank, Main One Cable Company, First City Monument Bank, Airtel, MAERSK group, Tolaram Conglomerate, Coca Cola International, Interswitch and more, including business owners, Life/Business Coaches, and other individuals who seek self-development. Joyce is the founder of “Talk With Joyce” quarterly mentorship live events and webisodes on YouTube addressing best practices for living. She is an author, fitness enthusiast, wife and mother.